The 1984 education census returns in Zambia indicated that 800 of the 3008 primary schools were "ungraded" (i.e.26%), meaning that although the full cycle of primary education consisted of seven grades these schools offered only four. These ungraded schools had fewer teachers than grades, small enrolments in each grade and were located in remote and sparsely populated areas. 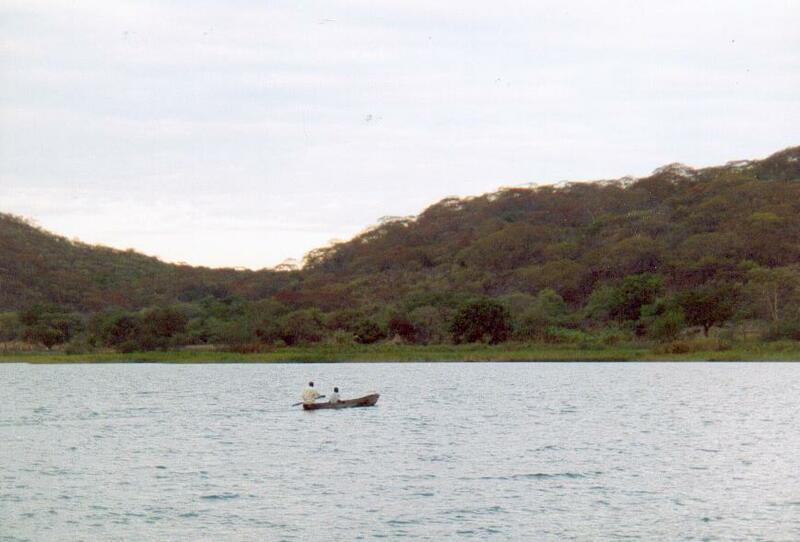 Much of rural Zambia is sparsely populated. In 1990 the population density was 11 persons/sq.km . In 1980 this figure was even lower - 7.5 persons/sq.km. 1990 figures for India and China, by contrast, are 260 and 118 respectively. Although the population growth rate of 4% between 1980 and 1990 is among the highest in Africa the rate in some areas is low and declining, with implications for the pattern of provision of education and other social services. While a majority of children attending primary school in urban areas completes seven years of primary education, the percentages are smaller in rural areas where enrolment in an ungraded or incomplete school represents a terminal educational experience. A particular problem faced in many of these incomplete schools is the small enrolment of children in each grade. The problem is essentially one of resources - rural communities in sparsely populated areas too impoverished to contribute to the physical development of a school, and the high costs of providing teachers to teach each grade separately. Two solutions have been adopted (Lungwangwa 1989). The first, tried out in 50 of the 800 schools, is a biennial intake in which students enrol in grade 1 only every second year. The second is the use of multi-grade teaching in which two or more grades are taught simultaneously. Multi-grade teaching was introduced to a number of Zambian primary schools in rural areas in the mid 1980s as part of a consciously formulated "project" supported by the Ministry of General Education and Culture and the Swedish International Development Authority. It started from a very small base in four schools in Mkushi district and was extended to a further 40 schools in 1986 and 50 in 1987. It was argued that multi-grade teaching would enable small schools with low enrolments in each grade to upgrade themselves to complete grade 7 primary schools without requiring additional classrooms and teachers. In-service training courses in multi-grade teaching were developed and mounted by the Malcolm Moffat Teachers' Training College (MMTTC). Others "inputs" to the project consisted of language and maths texts and exercise books, follow-up seminars, inspection, evaluation and the incorporation of multi-grade teaching as part of the regular preservice teacher training programme. Three alternative approaches to curriculum organisation and teaching appear to have been promoted by the MMTTC. the subject grouping option: subjects are presented to all grade groups together at the same time. Some subjects eg music, art, religious knowledge and social studies lend themselves well to this option. (i) By 1988 the multi-grade teacher education course had not been well integrated into the mainstream programme for teacher preparation. Since most members of staff had themselves no experience of multi-grade there was anxiety and a general lack of enthusiasm for it. (ii) multi-grade training has enjoyed the status only of an extra-curricula activity since its inception and has been timetabled to occur during the "last few days before teaching practice commences"
(v) A scarcity of resources in the schools restricts what the trainees can do during their multi-grade teaching practice. "Independent learning" is seen by staff to form the basis of multi-grade teaching and this, in turn, rests of the availability of learning resources. Despite these perceived constraints, however, college staff believe that multi-grade teaching can have some positive outcomes. It can enhance independent learning, it encourages teachers to adopt pupil-centred approaches to teaching, it facilitates revision of materials covered in earlier grades, it increases pupil interaction and contributes to the country's objective of universalising basic education. The four pilot schools were visited and evaluated in line with the points noted above. We present here just two of the four cases , contrasting in several respects. Mwape Primary School was established by Jesuit missionaries in 1945. Between 1945 and 1963 children who completed the grade 4 and who wished to continue their primary education enrolled in grade 5 at the Chingombe mission boarding school, some 75 km. away. Few students continued because of the distance and the annual boarding fees. In 1964 the Mbosha school was established at a closer location and it was estimated that about 5 children proceeded to grade 5 each year between 1964 and 1984. However few of these remained beyond the end of grade 5 because of the boarding costs, and between 1970 and 1984 only three students who began their education at Mwape succeeded in graduating from grade 12. The introduction of multi-grade teaching has resulted in increased enrolments although migration out of the area and the greater attractiveness of another primary school (where children receive free uniforms) has led to increases smaller than might have been expected. By 1988 45 boys and 43 girls were enrolled, compared with 17 boys and 16 girls in 1983. In 1988 the school served 10 villages. There are two teachers. One teaches grades 1 and 2 in the morning and 3 and 4 in the afternoon. The other teaches grades 5, 6 and 7 as a combined class . The teachers expressed concern over lack of resources and workload. Requests from them for a third teacher had gone unheeded. Because formal lessons were taught during both the morning and afternoon, creative work, practical skills and production unit activity has been displaced. Despite these constraints the teachers were pleased to report that of eight students who sat the grade 7 examination in 1987 four had qualified for grade 8. The Kalombe school experience has been a little different. The school, which currently serves four villages, was established later than Mwape, in 1965, and between then and 1984 those children who proceeded to grade 5 attended a school 19 km away. The weekly boarding fees prevented most children from proceeding and the Kalombe school was regarded as a "dead end" by most parents. After the introduction of multi-grade teaching, enrolment increased rapidly, from 123 in 1985 to 204 in 1988. However the numbers in each grade are now large enough to justify a mono-grade structure were adequate numbers of teachers available. One of the reasons for the increased enrolment has been in-migration, due mainly to a resettlement scheme. Parents expressed the view that the provision of upper primary grade schooling , made possible through the multi-grade teaching, had been one of the attractions of settling in the area. 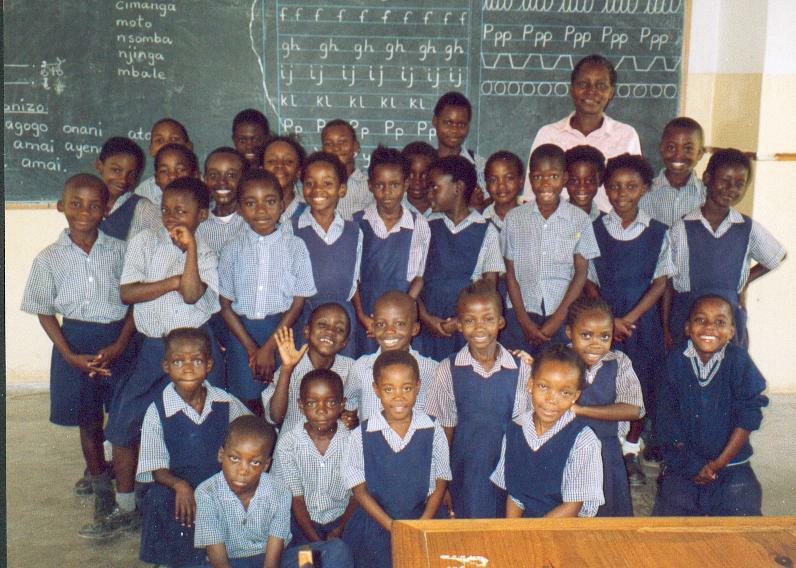 There are three teachers in the school, two of whom were trained teachers and had specialised in multi-grade teaching. However they recalled that their multi-grade training consisted of two weeks practice in 1984 which , though valuable, was inadequate. They felt a need for more in-service training in multi-grade teaching and felt that the concept of multi-grade teaching should be introduced to all teachers as part of the normal pre-service training. The system of multi-grade teaching had been implemented "vigorously" and the recommended methods had been tried out. Teachers felt that the 'common timetable' and 'subject stagger' approaches had been the most useful, partly because of the large numbers of students involved. Unfortunately the volume of learning resources had not kept pace with increased enrolments, making the idea of "independent" learning difficult to implement. Increased enrolments were also creating pressure on desk and seat space. In general the teachers felt that the present enrolment justified their school being upgraded to a mono-grade 'complete' primary school. Its continued classification as a multi-grade institution, they felt, led to too great a workload for the teachers. Teachers felt that with multi-grade teaching students were better prepared for self learning after they had left school. It was felt that multi-grade teaching contributed greatly to the mastery and enduring impact of basic skills, an interesting perception which could warrant further investigation. The progression rate from grade 7 to 8 , of 12.5% in 1987 was of a level similar to the national average. In contrast to Mwape the school-community relationship is very strong. A very strong parent-teacher's association has built a shelter for grades 1 and 2 and a brick house for the third teacher. The PTA maintains the classroom block to a very high standard and is raising money for another classroom. At the same time the community is aware of the pressures under which the three teachers work and cited instances of low proficiency of children in reading . They are aware that if more teachers were provided they would be expected to build more teachers' houses and raise money for additional classrooms . This prospect was viewed positively. Mwape and Kalombe are just two of the schools studied and their experiences are rather different . The increases in enrolment in both schools have been impressive though the average class size of each of the seven grades in Mwape remained too small to develop a mono-grade teaching structure. In Kalombe the increases in enrolment justified a switch to mono-grade teaching. Whereas Mwape is experiencing a degree of out-migration, with students attending another school where the incentives are higher and parents are shifting their homes in search of better farming lands, Kalombe has benefitted from the in-migration of children and families generated through a resettlement scheme. Perhaps it is this difference in orientation, the former "out" and the latter "in", which has contributed to the very different levels of support offered the respective schools by the community - rather low in Mwape and high in Kalombe. Teachers in both schools were enthusiastic about multi-grade teaching, perceived that it had learning benefits and were keen to receive further training. At the same time all teachers felt that multi-grade teaching created a heavy workload and was compromised by a failure of resources to keep pace with increases in enrolment. In Kalombe the numbers were now such that they could justify a changeover to a mono-grade system, the dominant system in Zambia.